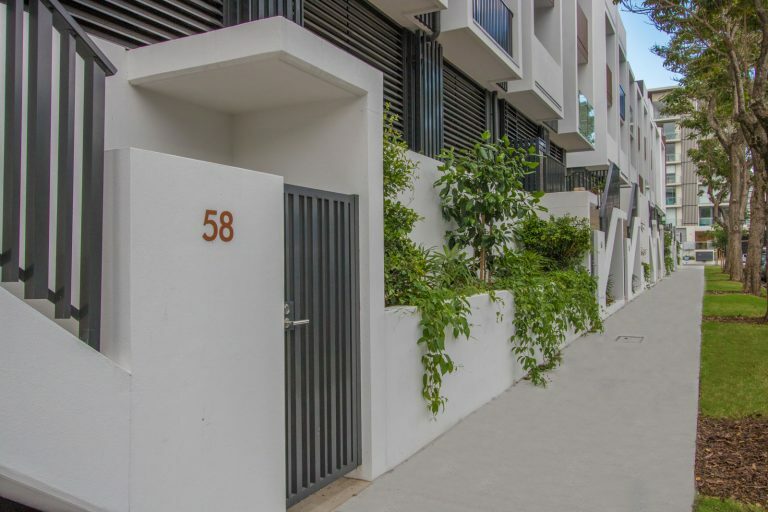 The Manhattan Terraces project is a brand new contemporary development in the heart of West End by Urban Construct, this new development offers the unique and sophisticated design of terrace living. Hedge Landscape Management is currently responsible for all landscaping maintenance within the project since its completion in September 2017. 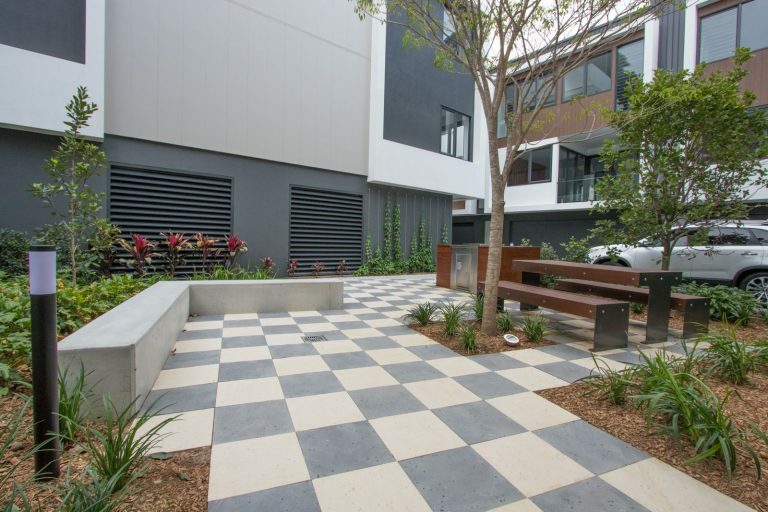 The Maintenance Plan we devised for this project includes strategies to maintain the podium planting throughout the development, several courtyards, and the Streetscape along Bailey St, Kurilpa St, and Rogers St. 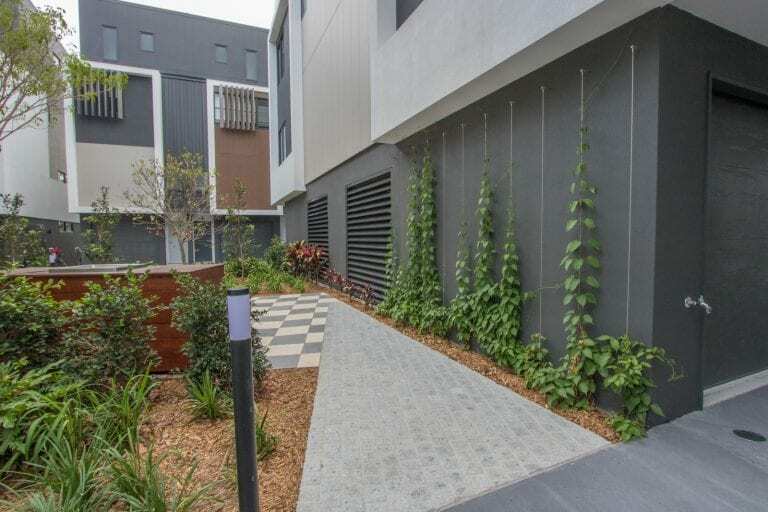 This project is particularly unique as it also involved the maintenance of the trellising that were installed by our construction partner – Penfold Projects. 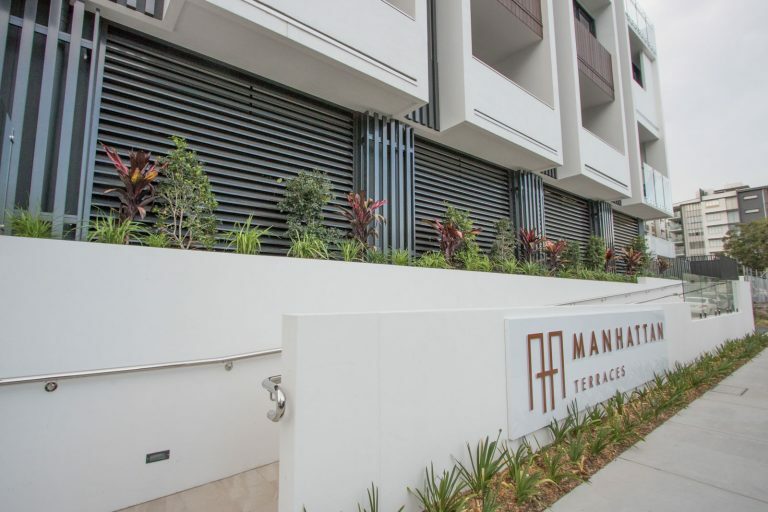 Drawing on expert experience and knowledge in landscape maintenance, the Hedge Landscape Management team is carrying out maintenance and ensuring that the project flourished, while making sure that there is minimum disruption to the community at Manhattan Terraces and surrounds. 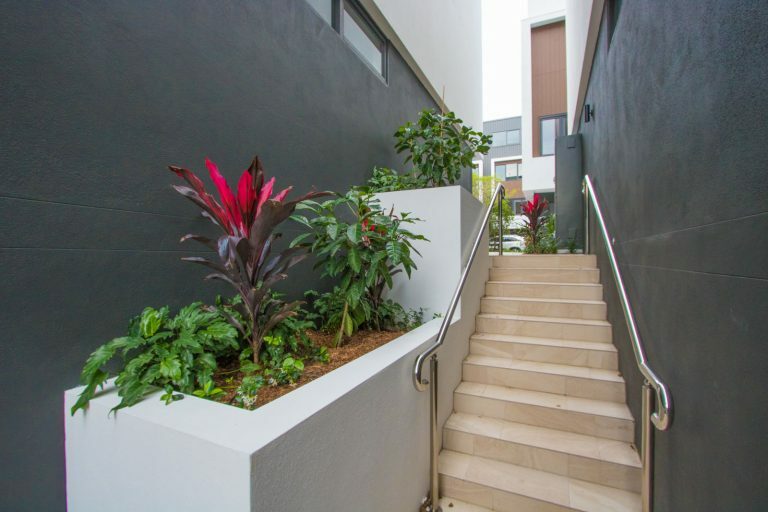 Hedge Landscape Management is committed to delivering high-quality maintenance to the community in West End whilst keeping an effective line of communication with all stakeholders.